Climate change is already affecting our planet, from increasing the frequency of extreme weather events to changing the global spread of crop and livestock pests and diseases. With global temperatures continuing to rise, countries across the world have agreed to act now to avoid the most dangerous consequences of climate change. The Paris Agreement legally binds 197 countries to limit global warming to well below 2 degrees Celsius and to pursue efforts towards 1.5 degrees Celsius. Despite this, man-made greenhouse-gas emissions are still increasing. To meet the Paris agreement, global emissions must be more than halved by 2050. 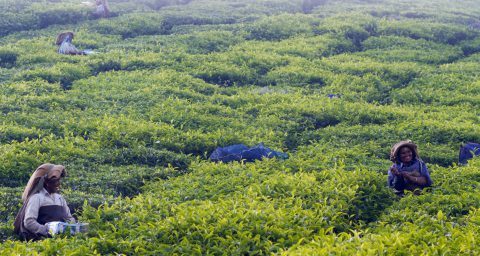 However, on its current trajectory, the global food system alone will likely account for nearly the entire carbon budget for a 2 degree temperature rise. This will leave little space for other sectors, making it almost impossible to meet the Paris Agreement. Therefore, we will need to reduce emissions across the food system: harness new technology, improve efficiency and best practice in agriculture; minimize energy consumption in food manufacture, transport, and retail; and reduce waste. Changing global diets could potentially have even bigger impacts, eating less resource intensive foods like meat and dairy and consuming only the calories we need. Sustainable diets do not need to come at the cost of good nutrition. Evidence shows that if UK diets aligned with the diet recommended by the World Health Organisation, national emissions would drop by 17%. 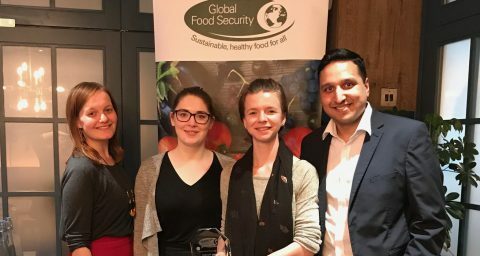 The Global Food Security programme is addressing this challenge; synthesising knowledge and connecting researchers, business and policy-makers to explore what research is needed to support both the Paris Agreement and food security. Find out more about the Global Food Security programme.